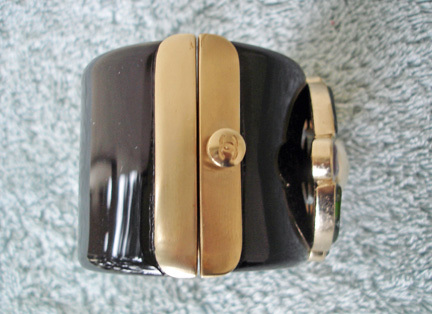 Chanel black resin cuff from the Monte Carlo collection. 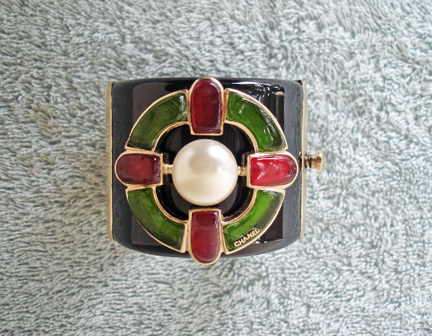 With mount of distinctive green and red gripoix glass with large pearl center. Stunning with great visual appeal. 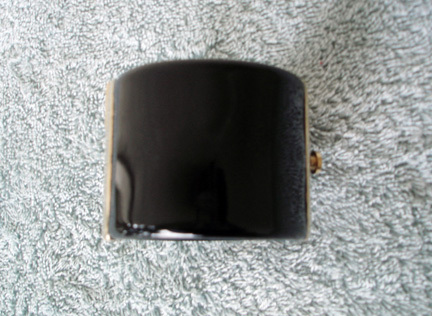 2" Wide and fits to about 7" wrist. 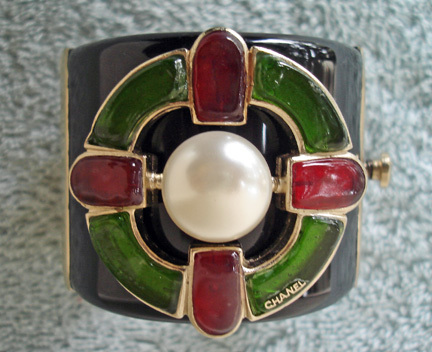 Condition: excellent; includes Chanel box.